Speed Chain Conveyor Systems are our main products, are used for all kinds products' assembling. It is also called speed chain transport conveyor, chain sprocket conveyor. We can supply the chain conveyor equipment for the Speed Chain Conveyor systems. The green plastic board on the speed chain Conveyor Systems is for the A4 working instruction holder, the workers can do the jobs as the indication of from the paper. We can supply pallets with different material for the speed chain conveyor systems, like stainless steel, plastic, eva, polywood. The High Quality Double Speed Chain Conveyor Line is customized for you. Looking for ideal Speed Chain Transport Conveyor Manufacturer & supplier ? We have a wide selection at great prices to help you get creative. All the Chain Sprocket Conveyor are quality guaranteed. 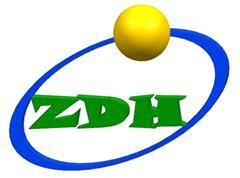 We are China Origin Factory of Chain Conveyor Equipment. If you have any question, please feel free to contact us.